Chinese national Chengru Hu, confirms his participation the 2018/19 Formula Gulf Academy. Fitting the profile perfectly for the Academy, Leo (as he is known), is currently studying at Imperial Collage London, but is also focused on his racing career. Having previously tested Formula Renault at the Zhuhai International Circuit, and is enrolled in the Protrain Karting Academy in the UK, Leo is looking for take is first steps to formula racing, along with intensive coaching. 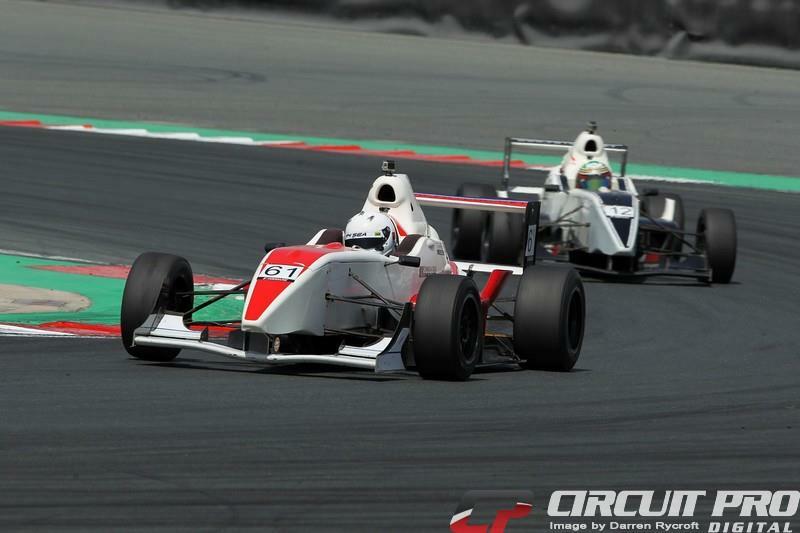 Both of which Formula Gulf Academy offer in the winter at the Dubai Autodrome and Yas Marina F1 circuit. Team manager, Martin hope said - "Its great to get the ball rolling on what will be our 8th season of Formula Gulf. We have trained some 60 drivers from 23 countries over the years, and its young guys like Leo that are perfect candidates for the Academy, we look forward to working with him. We have run 5 days of training so far in this off season so hope to welcome some more new drivers soon"
The season officially kicks off on the 25th of October at Yas Marina for the pre season test. However training and testing sessions will continue through out hte summer and up to the start of the season. Collaboration with leading Asia based team provides viable career ladder for young drivers. 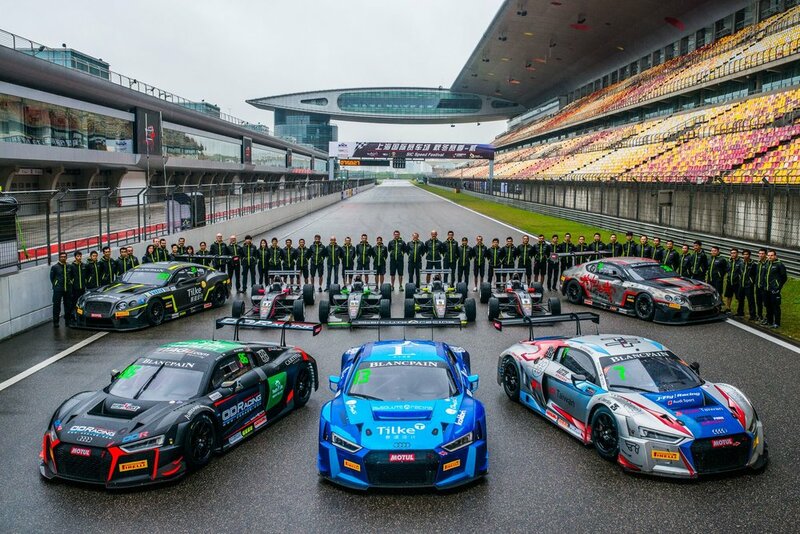 Dubai based GulfSport Racing’s efforts to develop the world’s most cost-effective driver development program have taken another step forward with the announcement of a partnership with Absolute Racing who compete in all major Asian championships and the new for 2018 FIA-certified F3 Asia Championship. The agreement creates a viable career path from karting through to the highest levels of motor racing and includes a prestigious award for the 2018/19 Formula Gulf Academy Champion of an F3 test at one of the top circuits in Asia. Graduates from the Formula Gulf Academy program will have the opportunity to further develop their experience at a much higher level with a leading team. GulfSport Racing’s Martin Hope said, “The Formula Gulf Academy is successful because it is no longer possible to succeed in single seater racing without exceptional training and coaching. This partnership is exciting because it provides a perfect next step for our more experienced graduates, whether they choose to follow single seaters or GTs. 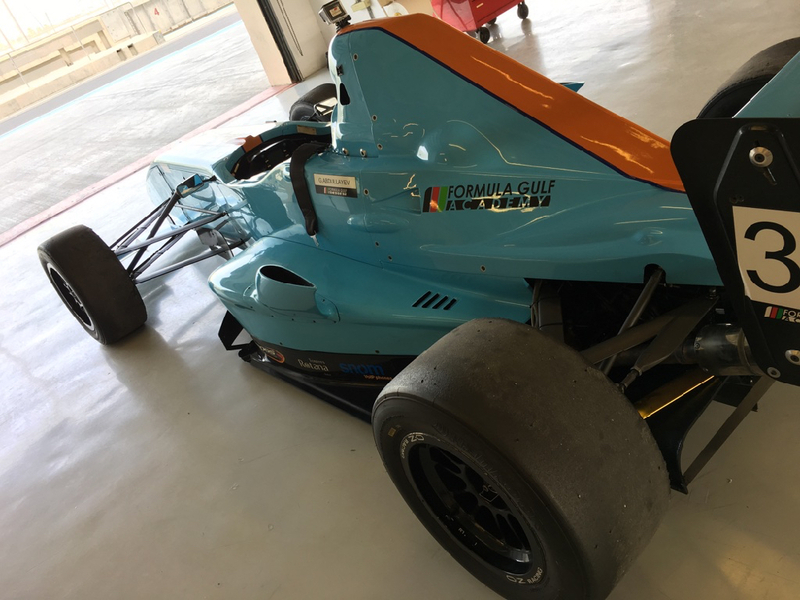 Absolute Racing will also recommend that promising young Asian racing drivers attend the Formula Gulf Academy winter program prior to joining their F3 team”. Absolute Racing co-founder Ingo Matter said, “We are delighted to be working with GulfSport as their unique driver development program has successfully provided just the sort of development capability required by young drivers who have moved up to F3 and Porsche GT3 Cup. We look forward working with them in future seasons”. The 2017/18 Formula Gulf Academy young driver development program was completed over the weekend at the Dubai Autodrome. The Championship title went to 17 year old Kane Shepherd who won 5 of the 10 academy races that were held at the Yas Marina F1 Circuit and the Dubai Autodrome. Shepherd flew from his home in Thailand to attend. The Vice Champion is 16 year old Filip Kaminiarz from Poland after scoring consistently and reaching the podium no less than 6 times. Third championship place overall went to another 16 year old, Talal Beshara from Bahrain. At the last event of the season, where temperatures peaked at 38C it was business as usual for Shepherd who took pole position and two impressive wins. Kaminiarz made life tricky for himself this weekend by taking the opportunity to test and race a Radical SR3 alongside his single seater campaign. He finished the first of two 50kms Academy races in 3rd place and was sidelined in the second when a battery terminal broke. But the 18 year old driver from India, Nabil Zakir Hussein had a very strong day, finishing in second place in both races. His occasional absence due to college exams took its toll on his overall championship position. A 4th and 3rd place finish was a bit below par for Azerbaijan’s Gulhuseyn Abullayev who was handicapped when a visit visa issue meant he missed the testing and training on the first day. The drivers all benefited from intense professional coaching by Thomas (Tommy) Erdos and Andy Pardoe. For Season 8 of this ASN Recognised Competition Driving School, organiser GulfSport Racing will offer the local equivalent of a UK ARDS test which has been approved by the ATCUE to enable 15 year olds to gain an Academy License in their first season so they can race in Formula Gulf Academy. Racing a fast single seater racing car on the 5.5kms Formula One Grand Prix Circuit is a real privilege that very few people in this world will ever experience. Braking extremely hard at 230kph into a second gear corner at the end of the one kilometre back straight, negotiating 21 corners, and powering under the hotel, an experience not likely to be forgotten. So it was for the five young racing drivers who had come from Azerbaijan, Thailand, Poland, Bahrain and Saudi Arabia to benefit from working with multiple Le Mans, Formula Renault and British GT Champion, Thomas (Tommy) Erdos in the Formula Gulf Academy. The cars are quick. Seriously quick. But perhaps more important is the fact that these drivers are also able to experience something that the manufacturers seem intent on getting rid of - ‘involvement’. 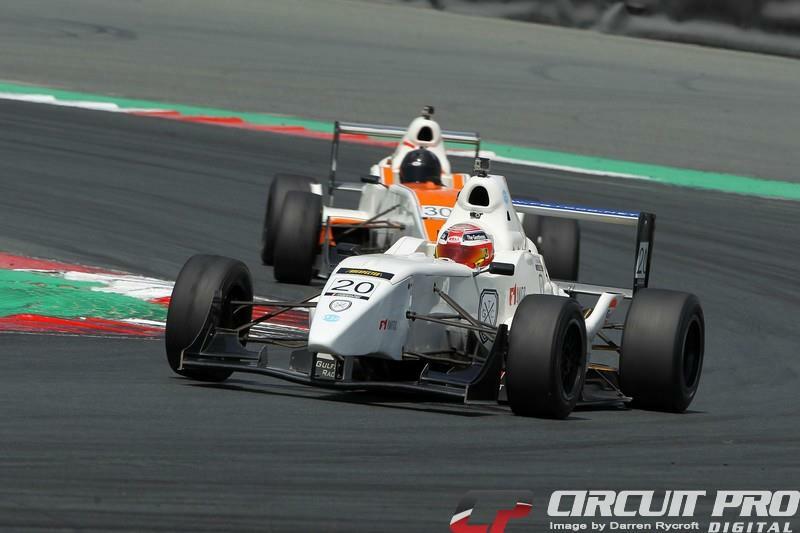 As Gulhuseyn explained, “ I raced an F4 car last year. It is a very simple car to drive in that is has a brake, a throttle and two paddles on the steering wheel to tell it when I want it to change gear. It is very un-involving from a drivers point of view. By contrast, I love the fact that the Formula Gulf car has a traditional three pedal arrangement with a manual six-speed sequential gearbox. The work rate in the car is high as we have to change gear with a lever, we have to simultaneously brake and blip the throttle as we down shift, sometimes going down 4 gears whilst braking from 230 down to 60 within a space of just 60 metres. Its difficult but extremely satisfying. Nice to have blisters on my hands again”! 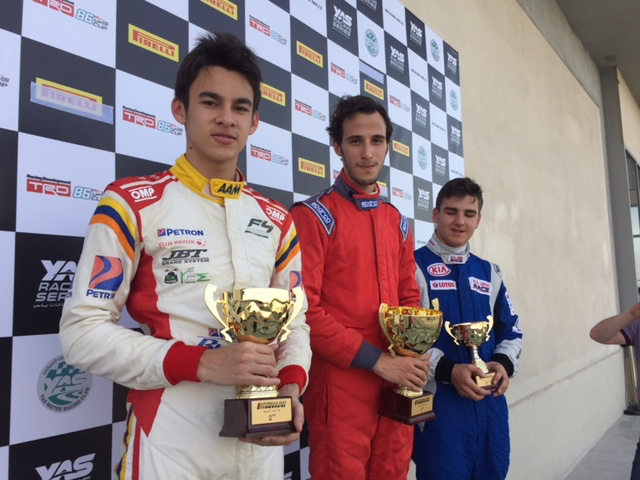 The most experienced driver on the day was Saudi’s top single seater racer, Omar Gazzaz who would win pole position, and would have won all three races were it not for a spin at the end of the last race. Why the Saudi federation does not support this very talented driver is a mystery. Next up was the up and coming 17 year old British/Thai driver Kane Shepherd who is also a proven race winner and very successful kart racer. He was on the podium for every race and set fastest lap in race three, giving himself a problem with hand baggage on the way back to Thailand with Etihad Airways. 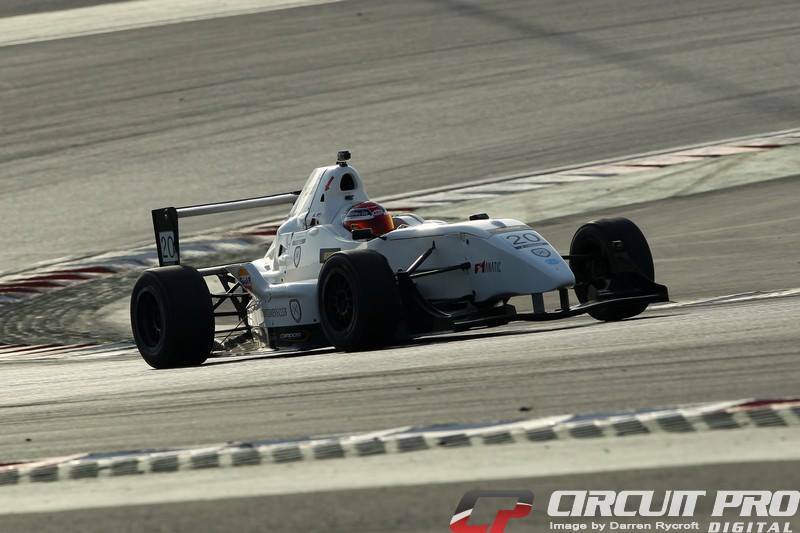 Azerbaijan’s most well know racer was back after a two year break since learning the ropes in the Formula Gulf Academy. Gulhuseyn, know as Quka to his friends, made a mistake in the first race as he clashed with the 16 year old Bahraini, Talal Beshara, but then finished on the podium in race two and won the last race to take home a brace of trophies. 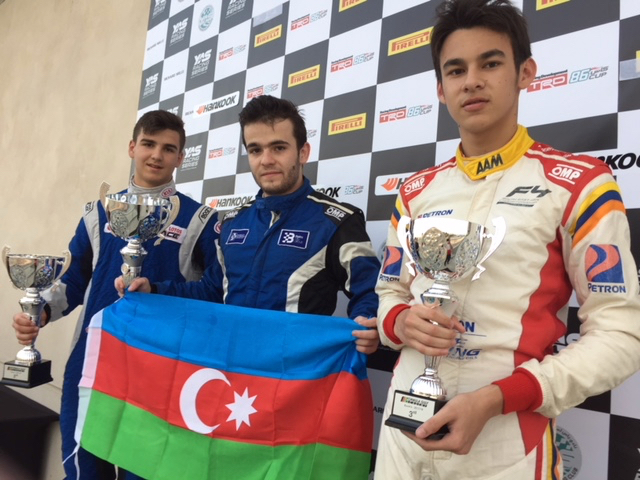 Also making great progress with their driving technique was 16 year old Filip Kaminiarz (who is being mentored by his team to follow in the footsteps of Poland’s successful racing drivers such as Robert Kubica and current Formula Gulf Champion, Alex Karkosik) and another 16 year old kart racer, Talal Beshara, who finished runner up in the GCC Young Drivers Academy program last year. 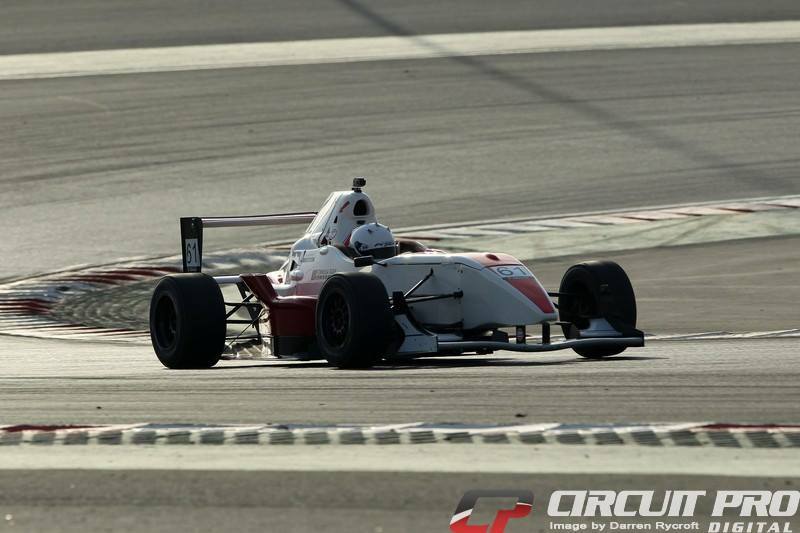 The last event of this the seventh season of Formula Gulf Academy will take place over the last weekend in March.